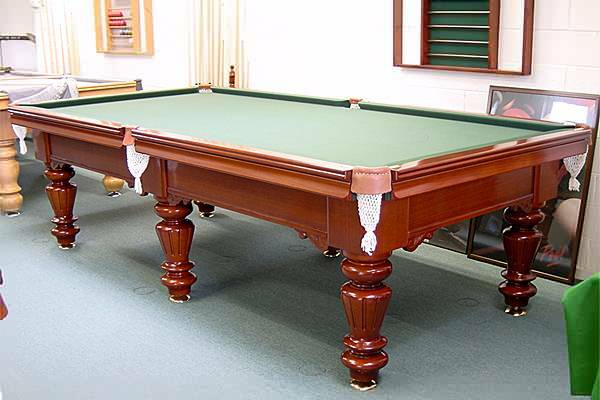 An increasingly popular choice, The Regency is a deep framed, solid hardwood table which offers a classical design with a corbelled frame and reeded turned leg. 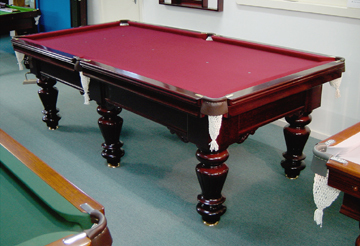 Competition Strachan Cloth in a range of colours with hand finished competition rubbers make this table one of our finest. The Regency in an alternate colour scheme. 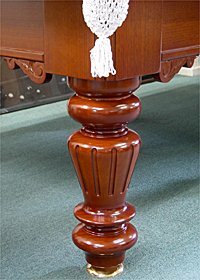 This is a close up shot of the Regency leg, showing the reeded design with corbells on the frame.